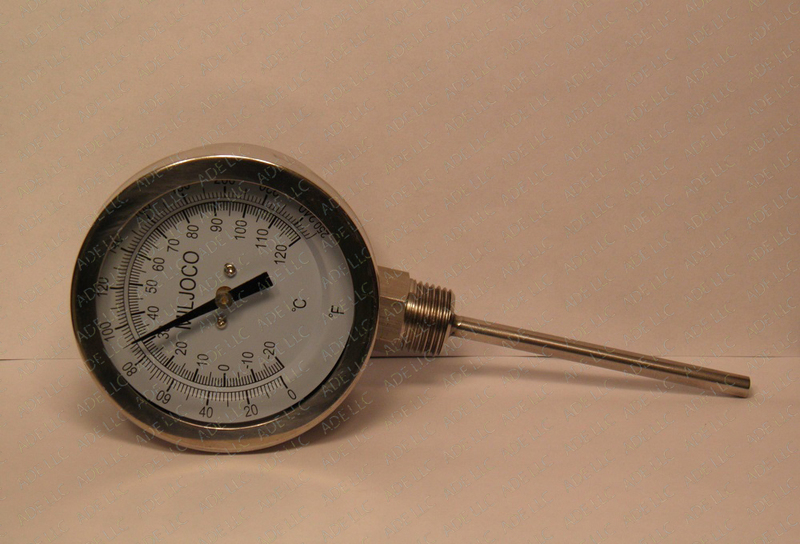 The picture above is a bottom connect thermometer. Check our catalog for a price listing of our Thermometers. We have Bottom connect and Rear connect Thermometers. These Thermometers measure temperatures up to 250° F.
It is not easy to control the liquid temperature when fermenting large quantities in a distillery. Temperature control is very important. 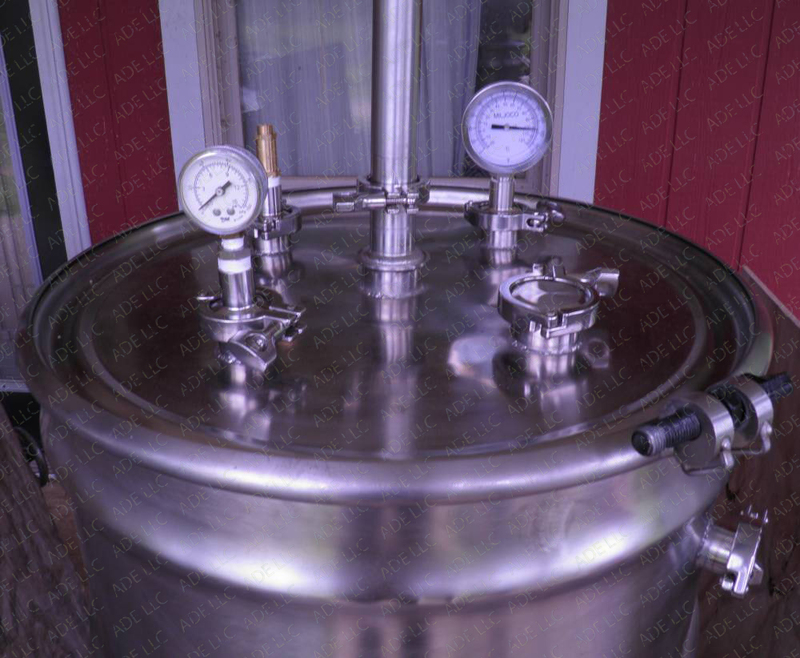 The picture to the left is a low pressure steam injection boiler with the thermometer and a pressure gauge attached. The picture on the left is a rear connecting Thermometer. 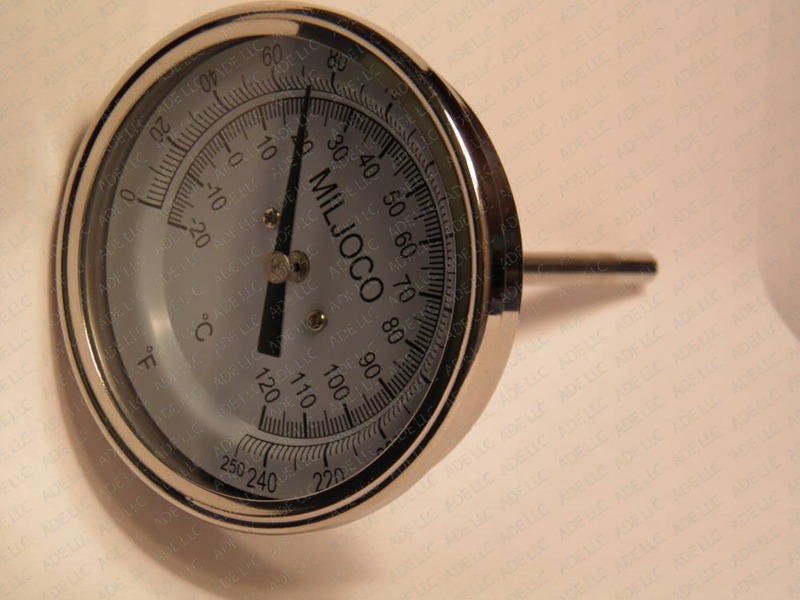 This Thermometer reads temperatures ranging from 0°-250° F. This rear Connect is a 1/2" NPT with 3" Probe Bi-Metal SS304.